Hey! Today I am here sharing a card that was inspired by Jennifer McGuire. Usually when I get in a rut (like I have been) I turn to others for inspiration. I go to Pinterest, blogs, old magazines etc. Inspiration is everywhere. Some times it works, other times not so much. This time....it kicked my mojo into HIGH GEAR!!! I have been on a card making binge. In her video, Jen used the Halloween set by Simon Says Stamp. I didn't have that set but I did have the Pawsome set. 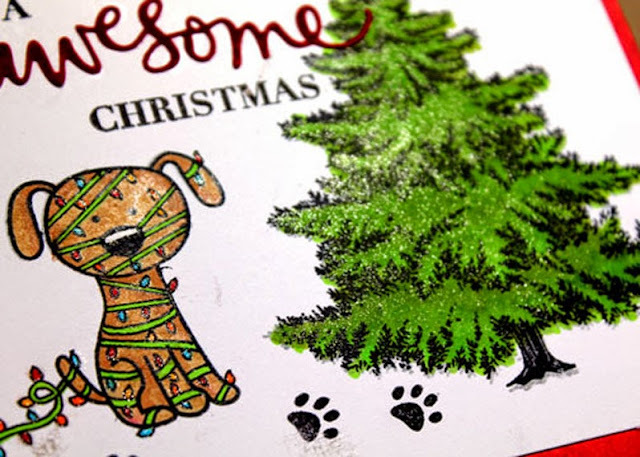 I used a Memento Dew Drop to ink up the stamp and left the neck portion of the stamp (the part with the collar) blank. I used a black marker to draw in the neck after. I stamped the card both horizontally and vertically. I like them both, so I went with it. I used a Hero Arts tree and left it empty to emphasize the puppy with the lights. I have a feeling Boomer is going to do this to our tree this year. I colored the dog, lights and tree in with Copics. I die cut the title out of some Red Velvet Paper that I bought at Michael's and then I added some Wink of Stella to all of it! 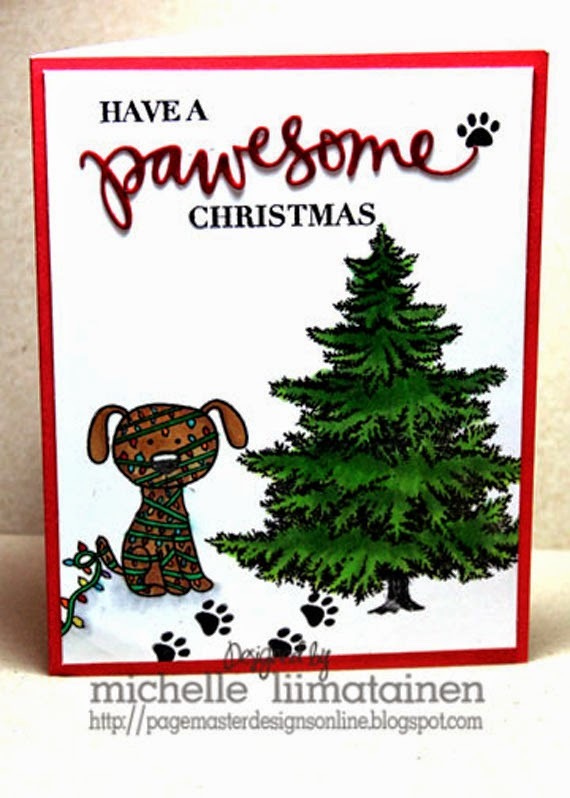 adorable card! 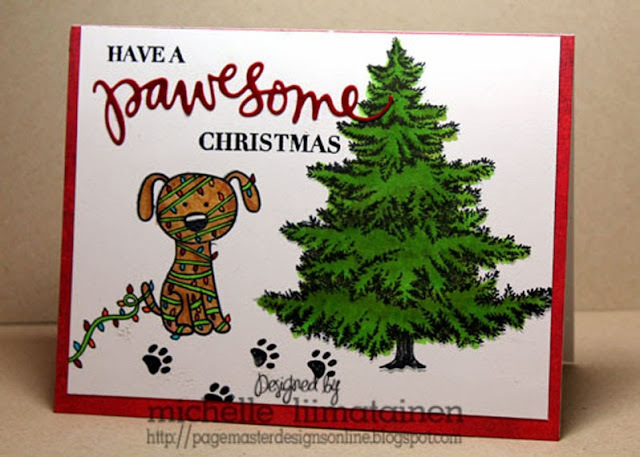 Love the tree and the puppy!! !